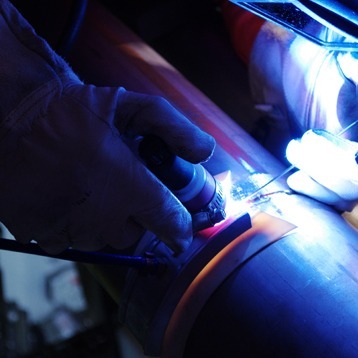 During welding process, the company places emphasis on precision, the quality of welding, as well as the final quality and appearance of the product. 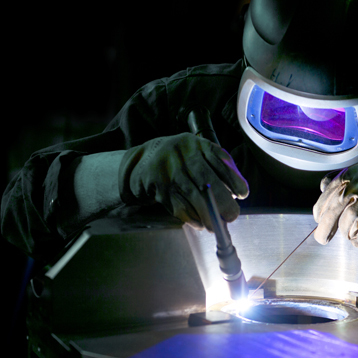 Welding workplaces are equipped with modular welding tables and welding equipment, that are operated by trained and certified welders. Experienced staff and welders use the arc welding method to provide welding of stainless steel, carbon steel and aluminium. 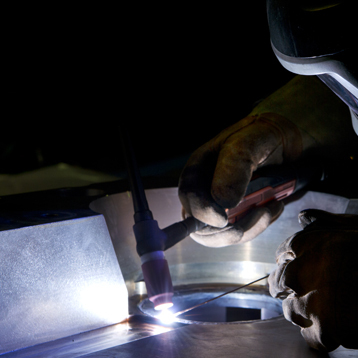 The TIG and MIG welding techniques ranging from small sheet metal parts and machined parts through to medium sized structures up to the parts of large dimensional equipment are being used during the welding process.